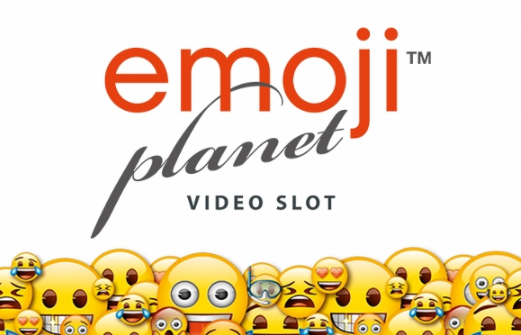 Another great addition from Netent slots casino, as they jump on the emoji planet. Formally known as Net Entertainment, NetEnt is a Swedish company that was founded in 1996. Since then it has become one of the most successful online casino software providers in the industry. Their casino software is used by more than 300 fully licensed portals. They have also recently developed a live dealer casino platform called NetEnt Live Casino and offer a mobile gaming platform that utilises touch screen technology called NetEnt Touch. In 2006 their casino module was voted as one of the top 20 modules and since then they have gone from strength to strength proving that they are here to stay. For more Netent games click here to find out more. They say that a picture is worth a thousand words, and maybe this is why emojis are so popular. Originally there were only 80 emojis when they were created back in the 1990s, now there are over 1000 different pictographs to be used. If you’re concerned because you like the sparkling poop icon the best, don’t worry, you’re not alone. If you love these silly little cartoons you will love Emoji Planet, the entire game is like a dive into the internet – only without the trolls. You have 6 reels and 9 paylines to play with, and games start at 20p and go up to a maximum of £200 per spin. The reels are different to what you would normally expect from a slot game. In Emoji Planet they form a 5x6 grid and the symbols are matched in clusters rather than straight paylines. You have lower paying emoji symbols such as the pizza, hearts, bombs, lips and a rocket. The higher paying symbols include the sparkling poop, the alien face, and the tears of laughter face. Cluster 5 of these symbols together and you will receive multipliers from 2x up to a whopping 500x times your bet! When you make winning combinations, the symbols will leave the grid and new ones fall into place in a cascading effect which further increases your chances of forming more winning combinations. Each time you form a winning combination with one of the five lower value symbols, you’ll start to fill up an emoji meter which matches the symbols. Each time you collect up to 12 emojis of a kind during a spin, you’ll completely fill the meter and the special power will be activated. When your spin comes to an end, one of your stored powers will be activated. If the Bomb power is triggered 8 random symbols will be destroyed earning you an instant cash prize for each destroyed icon. The Pizza power will cause a 3x3 overlay of randomly chosen symbol to appear on the reels, instantly triggering a win. The Kiss Mark causes 3 Sticky Wilds to appear on the screen, each of these can be used 3 times before being destroyed and disappearing from the reels. The Rocket will cause a stack of 10 Wilds to be added to the top and bottom of one of the columns, and the Hearts power multiplies your total win so far by the amount of times you’ve filled the Hearts meter, plus one. 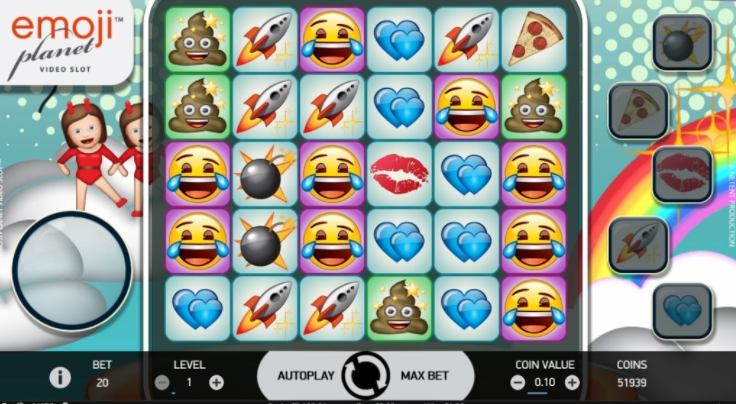 Emoji Planet is not your ordinary slot game, it has some unique game play features that keep things fresh and entertaining. This light-hearted and fun game can be enjoyed by low limit gamblers and high rollers alike, meaning that anyone has a chance at those cash prizes. Another booming game is our Volcano Eruption slot.